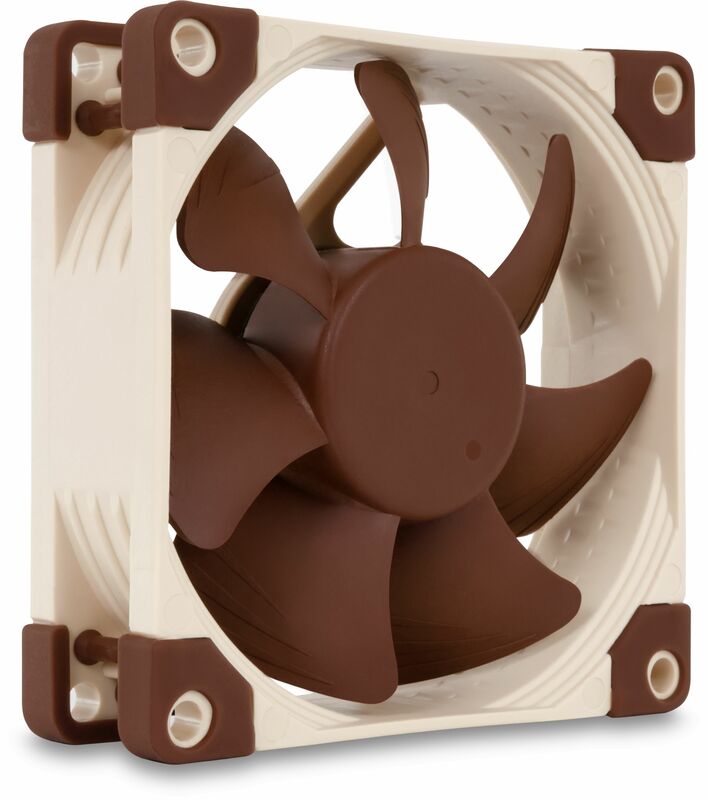 These new 80mm fans have been updated to feature Noctua's latest innovative technology. The NF-A8 PWM offers automatic fan speed control when connected to a PWM fan header on the motherboard. The NF-A8 is a highly optimised, premium quality quiet 80mm fan. Featuring Noctua's AAO (Advanced Acoustic Optimisation) frame as well as sophisticated aerodynamic design measures such as Flow Acceleration Channels, the NF-A8 further improves the renowned quiet cooling performance of the award-winning NF-R8. The PWM version sports Noctua's custom designed NE-FD1 IC for fully automatic speed control via 4-pin fan headers and comes with a Low-Noise-Adaptor to reduce the maximum speed during PWM control from 2200 to 1750rpm. Its superb running smoothness, reference-class SSO2 bearing and Noctua's trusted premium quality make it an elite choice for the highest demands. Bought to quieten a 2U rack mounted PC. 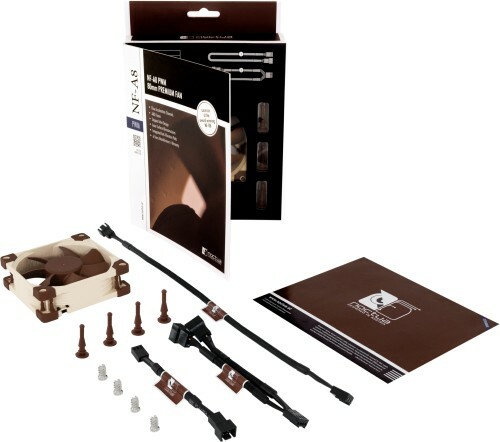 Excellent performance as ever from Noctua with a great range of mounting options (screws and rubber retainers), Y-splitter, cable extender and low noise adaptor. Not my first Noctua fan, and I doubt it'll be the last. When I first replaced my case fans with Noctua PWM units they were so quiet I wasn't sure they had powered up until I looked - that's how much of a difference they made to the previous fans. I purchased this fan to replace my near 10 year old CPU fan on my "old HP Pavilion" together with a new system fan, after the upgrade my PC was almost whisper quiet, near quiet as a laptop, after checking the system using CPUID HWMonitor it proved to be adequately cooling the CPU and working reliably providing active cooling when needed, and a thank you to Simon Elliot for technical assistance and easing a worried mind concerning temperatures. A complete Must of course! My Acer Aspire X3810 MiniDesktop is very heat producing; no other solution can solve this issue, after this Noctua NF-A8 fan to heatsink replacement! Now, this PC unit is one of the best of its own. Smart fan option must be disabled from BIOS and supplied extension cable(min.1750rpm)must be used. Very silent and thermal efficient!